I noticed Blackbird because I have been meaning to read Anna Carey's other series, Eve. When I saw it was a suspense with a girl that has amnesia, I decided to read it. I love a good memory loss story. I was a little taken aback by the second person narration. After a few chapters it didn't really bother me, but I never really felt like it added to the narration or story. Mostly, I kept wondering WHY it was in second person. It wasn't like in Stolen where Gemma is writing a letter to her captor. I think I eventually figured out why Carey wrote it in second person, or at least the purpose of it, but it could have easily been in third person and not lost anything. There are some other points of view that are in third person already. At first, I didn't like that the other points of view were limited, but I think it added to the story that the reader doesn't find out information ahead of the girl. I thought that Blackbird was a great YA suspense. It kept me interested and doled out enough information to keep me on my toes. When I was reading, there were several things that stood out because they seemed weird, but the details ended up being there for a reason. The reader is kept in the dark with the girl, and information is sparingly given, as the girl only gains a few memories throughout the book and must sleuth out the rest of the information. But, there was a lot of action, because the girl is being hunted throughout the book. Once I got past the second person narration, the book was a fast and easy read because of the suspense and action. I do wish that there was more of resolution at the end of the book, and that we had more information about the people/organization/company hunting the girl. It isn't exactly a cliff-hanger, but there is little resolution by the end of the book. It didn't bother me enough to be annoyed at the ending, however, and I still want to read the second book in the duology. Apparently, the duology is the new trilogy, because I have seen a whole lot of them lately. 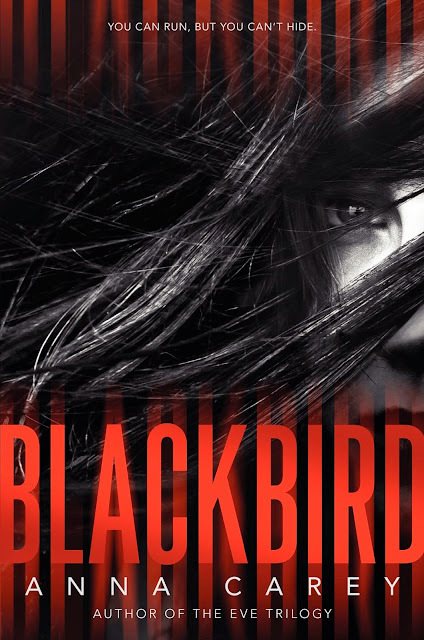 If you want a fast, suspenseful read, and you don't mind trying out the second person narration, you should check out Blackbird. To satisfy FTC guidelines, I am disclosing that I received an advance copy of the book from Edelweiss in exchange for an honest review.